Synopsis: André Leon Talley has been a fixture in the world of fashion for so long that it's difficult to imagine a time when he wasn't defining the boundaries of great style. Kate Novack's intimate portrait, The Gospel According to André takes viewers on an emotional journey from André's roots growing up in the segregated Jim Crow South to become one of the most influential tastemakers and fashion curators of our times. Question: When Kate first approached you about the documentary, how did she explain what she wanted to do? André Leon Talley: Well, first, Kate and I met through Vogue"first they went through Vogue, because I had been interviewed by Andrew for The First Monday in May, and I had been the sort of ambassador for that film at a few screenings. So it was through the auspices of Vogue that Kate came to me with Andrew. I loved The First Monday in May, and so I felt it was the perfect fit. If Kate had not come through Vogue, I might not have said 'yes' so quickly, and I don't regret that I said yes. Question: Did you have any idea of what to expect from the experience? André Leon Talley: No. I did not have any idea about what to expect from the experience, and it was a rough going at first. It's very intrusive, it's like you are exposed, like chest surgery. It's like you open the cavity of your chest and you expose yourself on a surgical table. I had no idea what it was going to be. I just trusted Kate enough and became very trusting of her, and her trajectory, her sophisticated research, and respect of my story, of my life. She delved into the past enough to impress me to continue to go through with it. Question: You're someone who has spent a great deal of time on camera, but being in a documentary is not the same thing. 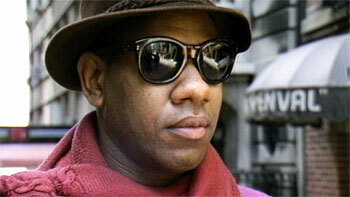 André Leon Talley: It's not the same. I've opened my heart and my soul and my life. And I am a very private and shy person, although I come off as a very flamboyant person. I use clothes as armor, clothes are my security blanket and my clothes and outfits are my armor against the world of the chiffon trenches. So the documentary has been a very enriching experience. I think it's a very sensitive and extraordinary and yet elegant story of my life, as told by Kate, but it was very, very brutal for me to continue to go through all the machinations and all the sit-down talks and everything. It's totally different from being on a talk-show or panel or being interviewed by Charlie Rose on PBS with Karl Lagerfeld. It's all very different and it's very, very challenging and overwhelming, but I think that it's a document that she wanted to do, a story she wanted to tell and I'm glad that I did it. Question: What was it like the first time you saw the film? André Leon Talley: Oh, the first time that I saw it, I was just elated to be there with friends, to see some of the glorious images and see the way Kate threaded the narratives through the sophisticated research she had done. Her research is phenomenal! She had gone back and researched, contextually, my life story from its humble beginnings all the way to Brown [University], my theses and reviews from when I went to Paris and the great shows of Yves Saint Laurent in 1978. That was very wonderful for me; it was an enchantment, but, at the same time, an experience that I would consider"I'm not a vain person" microscopic. A documentary is meant to be truthful and it is Kate's story, it is definitely her story, but, being so creative in my life, and an editor, I would have, in hindsight, made a contract to have a full make-up artist on hand at all times! Having come from the world of Vogue, part of the armor is that you are professionally groomed and, on a cold, bitter morning in North Carolina, that was just me coming out and I...would have had a makeup artist. Question: I think a lot of documentary subjects would agree with you on that. 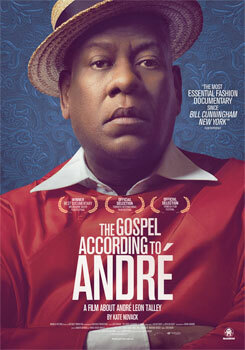 André Leon Talley: Now, I think you think that's funny, but that's not funny! That's a very important point. In the world of style, in the world of Vogue, of what that world stands for. But, nevertheless, I opened my heart and I opened my life and I opened my home and I opened my history and opened all my friends. The people that are in the doc are the people that are of great value to my life. Question: The film does dig amazingly deep. But it never tries to pigeonhole what it is you actually do. I wonder how you describe your career. André Leon Talley: As I've always said, I am like an upgraded airline associate. This is me being superficial about who I am. I look at myself as "coffee, tea or me." I always try to create, in the environment of whatever I'm doing, be it fashion editorial or a talk in front of 400 people or whatever it is that I do, it has to come from a world of grace. I try to create a style moment through grace. The grace of great manners, the grace of politeness, the grace of kindness. I tried to create a world of grace in my assignments at Vogue, in my editorial essays. I always look for a moment of grace. The documentary, and I don't just mean mine, but documentaries are brutal, they are honest and candid. I think that I accepted that I had to feel that I was going through that. And what is it that I do? The world doesn't keep me here for my looks; they keep me in the world of Vogue and in the world of Martha Graham, where I performed "The Owl and the Pussycat," the world of Numero Russia, where I was Editor-in-Chief for a year, they keep me for my knowledge and my ability to create a zone or a zen moment within the framework of my assignment. I approach the world with a sense of grace. Grace is a very important word in my life, and I try to express that to others, a sense of grace, and grace is style. Grace is not a lack of sensitivity. Grace does not exist in our culture today. Everyone today is uncivil to each other, rude, bombastically rude, insulting. The culture has been seriously affected by "45""that's the 45th President of the United States"45's cultural attitude, and his stance on insulting people. Women, men, gold-star mothers"it all comes from the culture. And I mourn that culture, I mourn the lack of civility. When I came up in fashion in 1974, the fashion world was different; it was a world of extraordinary style and grace. It is no longer a world of style and grace and civility. It is a rude world of commerciality, power and"that's fine"people have forgotten how to stay in touch with each other as friends. Loyal friends have sometimes marginalized each other and they're too busy to emotionalize and say to friends, "How are you?" and respond to emails. And I'm guilty of the same thing. And, so, what I do is that I am a conveyer of grace through the world of style, and I can't say what it is that I do. I do many things, and I don't do everything the same every day. I do podcasts for Vogue, I interview the celebrities on the red carpet at the Met Gala, I'm a historian of contemporary couture. I'm walking through grace and I'm on this earth because of grace, and I try to project that. That's what I've always been, and always strive for, and I learned that from my grandmother and my family, my immediate family"my aunts and uncles, my mother and father, all my kin"we grew up in a world of grace. Question: It does seem like, as a culture, we've forgotten the value of things that are elegant, that are well-made. 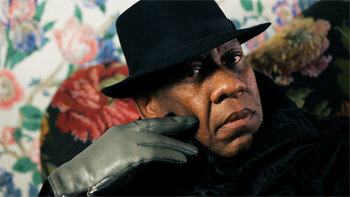 André Leon Talley: Elegance is always right at your fingertips. I learned from my mentors"Mrs. Vreeland and Mr. Fairchild"I learned the luxury of clothes from Mrs. Vreeland, the luxury from inside out. The most luxurious thing about a garment is the lining. I learned from Mr. Fairchild, a great man, a brilliant man who was my boss, how to analyze and look at clothes and quickly analyze clothes the way an art critic would analyze paintings. You have to read and read and read everything, from Balzac to Jean Cocteau to Gustave Flaubert. You have to listen to all of the great musicians"Bach, Beethoven, Mozart, Duke Ellington, Mr. Coltrane, Billie Holiday. Everything is of great worth in the inspirational moment of achieving a state of grace through knowledge! Question: It occurs to me, when you mention our current President, that he is the antithesis of this idea of grace. Which makes it so important that the film shows you on Election Day and after. It almost feels like two world views crashing against each other. 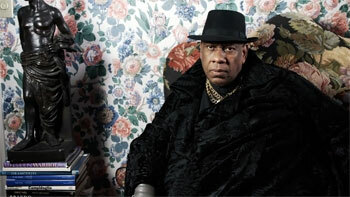 André Leon Talley: Absolutely. I am silent on Inauguration Day, I am stupefied, but I am resilient, and it shows on my face the deep emotion. The only thing I can say is that because the First Lady represented the role of role of the First Lady beautifully in the Ralph Lauren couture and the gloves and the shoes"everything was perfect"that's all I can say about that.